Portland, ME -- James Jay Stack, Ph.D., 83, died Oct 21 surrounded by his loving family at home at the Atrium at the Cedars in Portland, ME. He lived 41 years in Fayetteville, NY. He was born in Berwyn, IL. After graduation from Northwestern U. in 1954, he joined the U.S. Army of Occupation in Germany. He returned stateside to take graduate psychology degrees at Ohio U. in Athens and then The Ohio State U. in Columbus. Appointed to the faculty of the Kennedy Center of Vanderbilt U., he directed the Child Study Center there, teaching and supervising clinical psychology graduate students. In 1973 he moved to Syracuse, NY to join efforts to transform the old state hospital system into a modern community-based mental health system, first by developing a new psychology department at Hutchings Psychiatric Center in Syracuse, NY, and later by developing and directing a model satellite program in the neighboring Madison County. He co-founded the NYS Association of County Mental Health Directors. 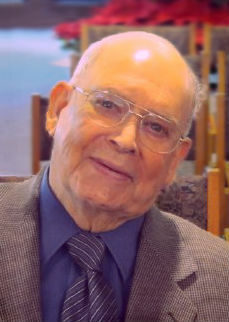 Both in academic and clinical settings, he supervised and mentored clinical psychology students. Over many years of helping children and adults in private practice, he was rewarded by letters and comments from clients whom he had helped to effect positive life changes. Everyone noted his fine sense of humor. He loved music and playing piano. As a private pilot and scuba diver, he soared through the sky and plumbed the undersea waters. Now he has a new world to explore. Survivors include Lois, his wife of 63 years; son James S. and daughter-in-law Lin of Naperville, IL, and son Terence R. and daughter-in-law Gail of South Portland, ME; Illinois grandchildren Andrew and Katelyn; Maine grandchildren Allison and Elliot; sister Bette Eilers of River Forest, IL; brother- and sister-in-law Barbara and Ronald Hager of Portland; nieces and nephews. He was predeceased by a brother, Leo A Stack, Jr.
A family celebration of his life is planned for spring. Memorial gifts in his honor may be made to the fund for The Cedars’ new Skilled Care and Memory Care Households, with checks payable to The Cedars Development, 630 Ocean Ave., Portland, ME 04103 or to Visiting Nurse Development Office, 144 State St., Portland, ME 04101.